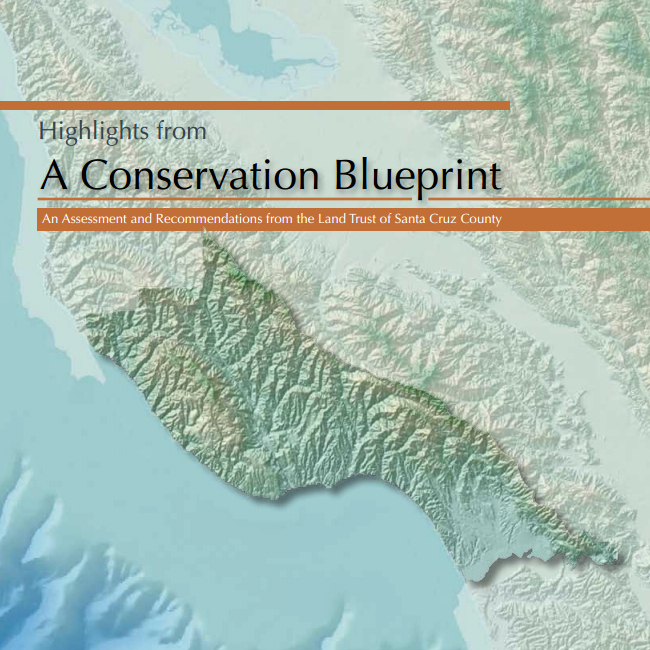 The Conservation Lands Network is a regional vision and guide to protect the Bay Area’s irreplaceable landscapes. The CLN is a vision, a guide, and a network. 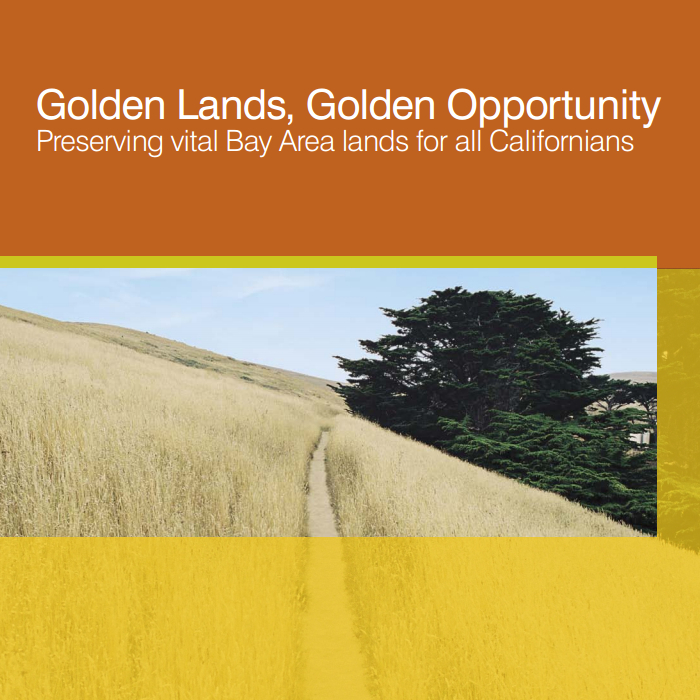 Collectively and strategically protect 2 million acres of the Bay Area’s upland habitats and rare landscapes for biodiversity conservation. 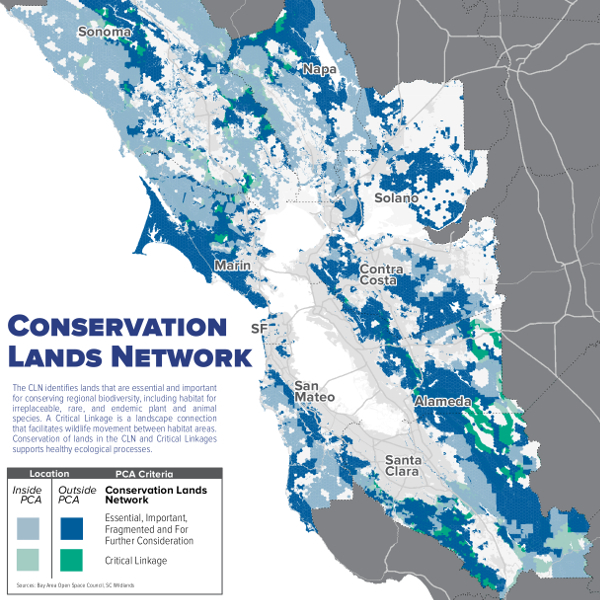 The Conservation Lands Network (CLN) is a collaborative, science-based effort to conserve the Bay Area’s irreplaceable landscapes. What does blue mean? Click here to find out. The Conservation Lands Network is a regional prioritization of lands that are important for the protection of biodiversity. 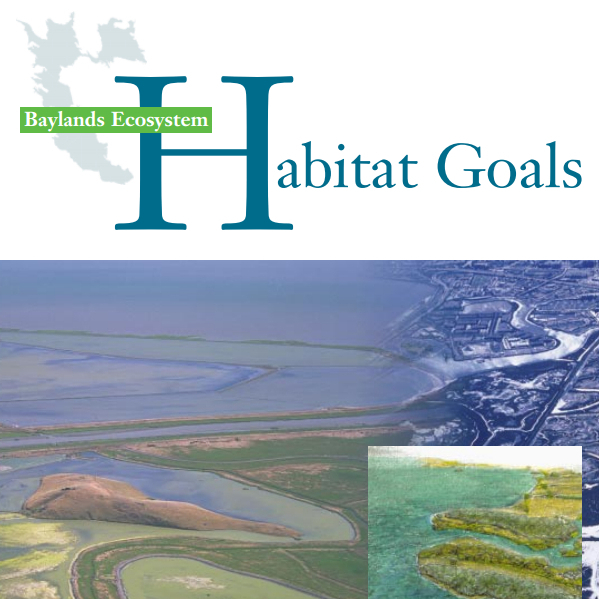 It is used by land conservation organizations, municipal planners, funding entities, and regional planning efforts. The CLN 1.0 Report was initially released in 2011 after a 5-year process with involvement from 125 organizations and agencies. Following that, the CLN 1.0 Progress Report was released in 2014. It highlights the achievements made since the 2011 release toward the goals it originally set forth. 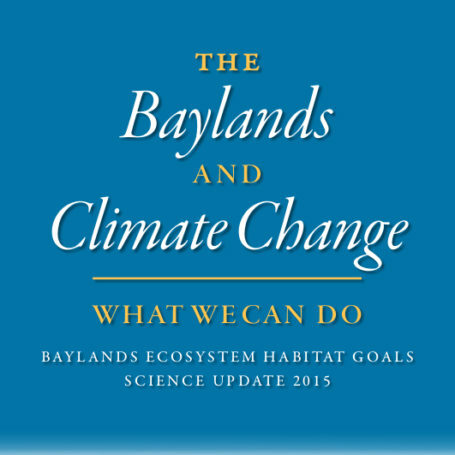 Progress was tracked through four conservation indicators and fourteen progress metrics. This informational video explains step-by-step how the Conservation Lands Network was created. It covers the process of selecting conservation targets, setting conservation goals, and using a fine-filter and coarse-filter approach to map an efficient network. 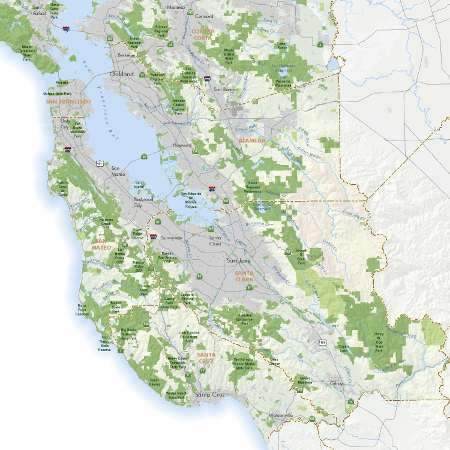 Between 2006 and 2011, the Bay Area Open Space Council partnered with 125 regional experts to develop the Conservation Lands Network as a tool for conservation practitioners, landowners, land managers, policy makers and the public. 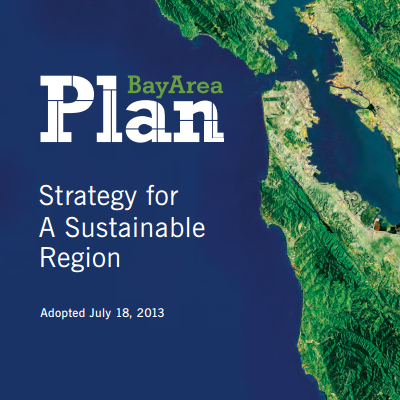 Now it’s 2018 and the Open Space Council is again partnering with regional experts to refresh the CLN. This update process is called the Science Expansion. 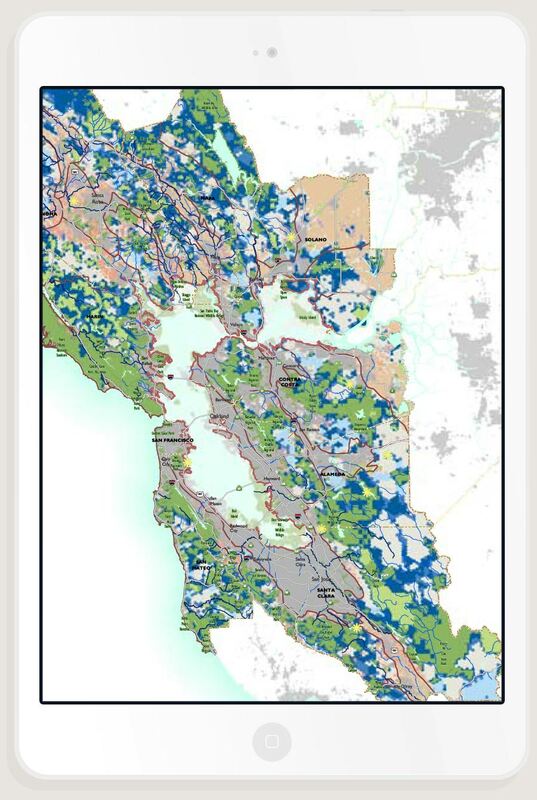 The Bay Area Open Space Council is currently leading an update and expansion of the science behind the Conservation Lands Network. We’re calling it the CLN Science Expansion. 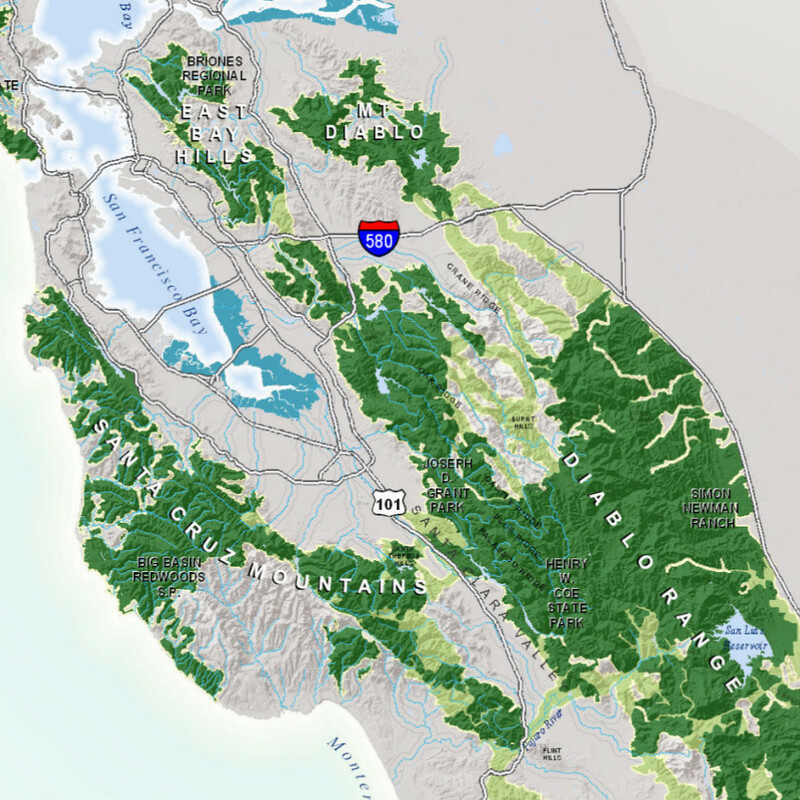 The landscape of protected lands has changed since the first version was released in 2011. There are updated datasets that will be included, and there are new policies and regional priorities which we’ll integrate. To learn more about what we’re doing, why we’re doing it now, and who’s involved, go to the Science Expansion page. Sign up to receive updates on the Science Expansion. Implementation of the Conservation Lands Network requires a dynamic approach and continued investment. Investment in protecting the lands inside the Conservation Lands Network is a priority, but lands outside the CLN may also have high conservation values. On the ground surveys may reveal extraordinary biological resources not captured in the current CLN dataset. Therefore, ground truthing is essential. Even the best available data is often inconsistent and incomplete and conservation decisions must include site visits and surveys. A special thank you to GreenInfo Network for their support building the website, developing Explorer, creating innumerable maps and providing invaluable guidance. 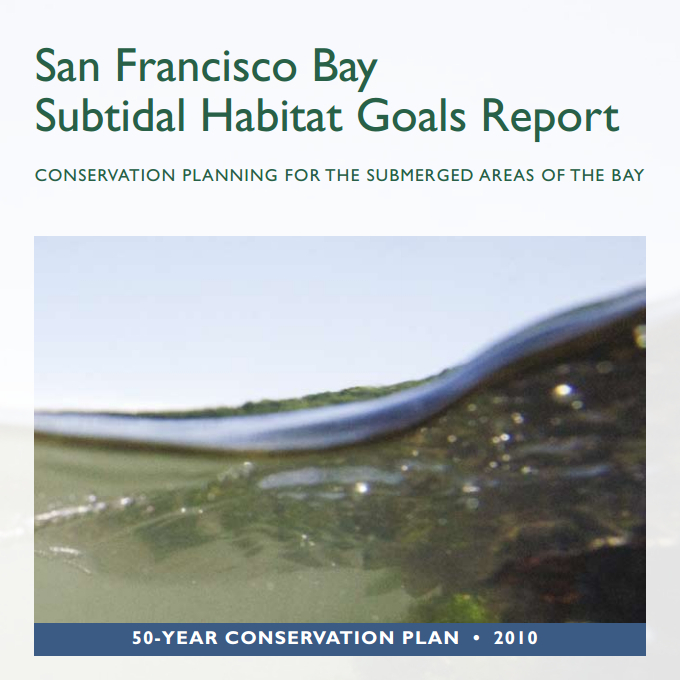 Together, these projects represent a trio of regional habitat planning for the San Francisco Bay and its surrounding watersheds. The CLN does not exist in isolation. Other projects are working at different scales and with different goals, but create a regional set of conservation planning efforts.